The present volume contains papers presented at the Fourth Quinquennial Conference on Ukrainian Economics at the Ukrainian Research Institute of Harvard University, in September 1990. Contributions by Tetiana Pakhomova and Serhii Mischenko and four discussants have been added in order to round out the collection. The volume from the previous quinquennial conference dealt with Ukrainian economic history prior to World War I. The present collection deals with the Ukrainian economy during the late twentieth century--a period of epochal change. The papers are divided into five sections: Framework; Resources; Performance; Welfare; and External Relations. A recurrent theme centers on the nature of Ukrainian-Soviet economic relations in the past, whether this relationship was exploitative, and, if so, to what degree. Each author reviews economic trends in Ukraine to the end of 1990, and analyzes the potential for future Ukrainian economic policy and development. The analyses are supported by a large amount of statistical information, presented in eighty tables. Four maps help orient the reader with Ukrainian geography. 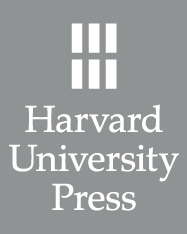 The contributors are from the U.S., Canada, England, and the Ukraine; they represent various schools of economic thought and employ different methodologies. The discussion papers at the end of each section facilitate the synthesis of the material in the papers and introduce an element of scholarly discussion on issues that presently are of vital importance to Ukraine. Because of the wide range of topics and extensive source material, this collection will be useful not only to specialists, but also to students and others interested in Ukraine today.